NO , NEVER dowel swing in the middle of the flying space. A cozy corner for the feeling of security ( see right hand corner) - cover with a cage corner cover. Have natural branch perches - and remove all dowel perches. Have a variety of toys placed at the ends of perches and on the sides of the cage - some cuddly, some chewy, some soft, some hard, some shiny, some bells, some foraging , some foot toys. Pretend that you are an interior designer and want the best possible use of the cage area. Budgies and canaries need ROOM to fly in their cages and place perches as far apart as possible . Requirements will vary depending on the species of birds that you keep, these are general general comments, more information is provided under individual species information sections. Birds are not helicopters, they fly horizontally. We recommend cages for smaller birds where the length is greater than the height to give maximum opportunities for flight. The cage should be as large as space and budget will allow. Minimum size depends on the size and number of birds being housed and the amount of time spent in the cage. Zinc or lead poisoning from birds chewing newly galvanized metal in aviary wire, toys or feeding dishes can be fatal. Ideally the cage should be constructed of stainless steel (the only safe metal for use around birds) or powder-coated wire. If galvanized material is used it should be weathered or treated with weak acid (e.g.... vinegar), but even doing this it is difficult to fully guarantee safety. Place the cage in an area where the bird will feel included in the day-to-day business of the household, but safe from intrusion and predators (other pets, small children, etc.). 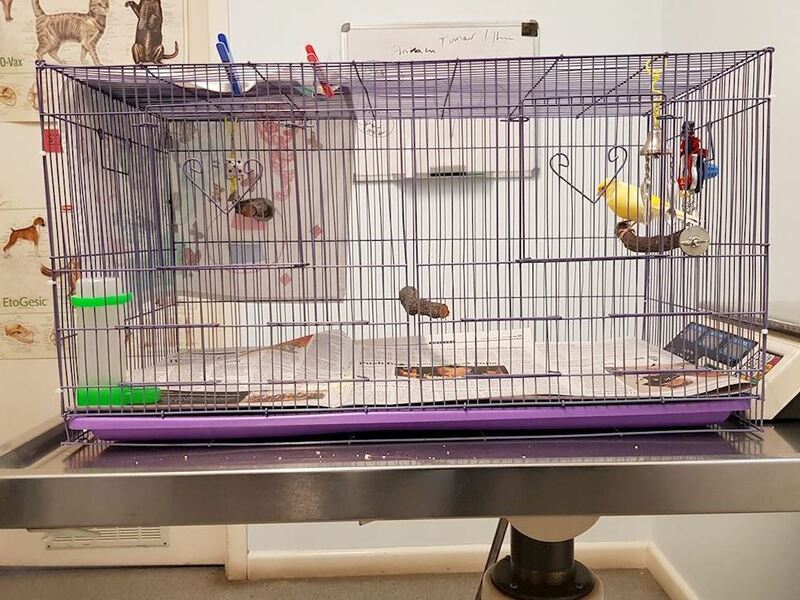 The cage should be positioned to get as much natural light as possible without being in direct sunlight, and high enough for the bird to see all activity but still get a good nights sleep. Beware of positioning near the kitchen as some fumes (e.g.... heated Teflon) can be toxic. Perches should be of a variety of sizes. We recommend natural, native branches – with leaves and flowers on if possible - these are safe, readily available and encourage natural chewing behavior. We do not recommend sandpaper on perches as this can cause abrasions on some birds’ feet. Place perches and toys (such as foraging toys, mirrors, bells, balls, seeding grasses) around the cage to encourage the bird to fly or move between them.